Thanks for your post! I ran into this thread while searching for "bulb failure" posts. I'm getting intermittent false "Bulb Failure Low Beam" messages. I say "false" because both low beam lights appear to be fine. The messages would go away then come back. Do you think it's possible the ballast could be my issue? 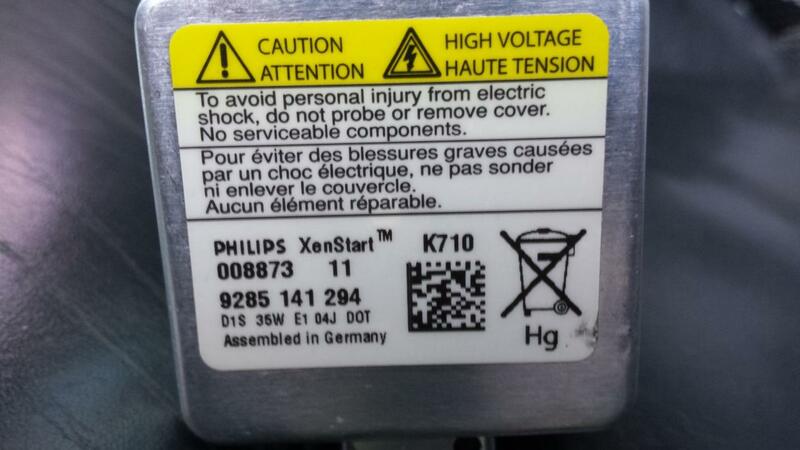 When you got your "Bulb failure" messages, was the bulb burned out also? Joelq, the first post is probably referring to optional xenon headlights. if you have the standard lights they don't use ballast or ignitor. I did have a bulb that had failed, on the passenger side, and I had replaced the bulbs on both sides several months before the ballast had failed, so I knew the bulbs were fine. Does your car have the daytime running lights (DRL)? A bad ballast can still enable the low beam headlights to work but not the daytime running lamp. And it sounds like an intermittent failure, as was mine. In fact, now I think the passenger side bulb is failing, so I may need to replace that ballast as well. If your car is equipped with the DRLs, check to see if those are both working. Our car has the DRL position on the switch and the normal ON position. Other bulbs you may want to check are the red safety lamps in the rear bumper. I think those will through a low beam bulb failure too. Yes, I do have DRLs in this car. Normally, the light switch is on the DRL position, but when I switch it to Low Beam, the message goes away. Could that be indicative of something to check? It could be. 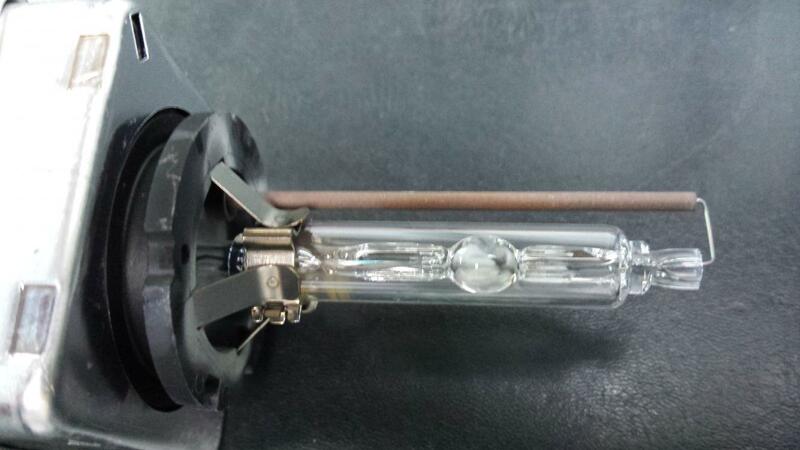 Check to see if there is a separate bulb just for the low beam DRL. I never looked at mine really close, but there might be another bulb in there. Try swapping with the other side. If that fixes it, then you know you have a bad bulb. If it doesn't fix it, then it may be the ballast. My wife is still having trouble with her passenger side lamp. It fails intermittently. I think I may have to replace that ballast as well, but for right now we're just living with it. Ah, gotta love the quirky electrical issues! 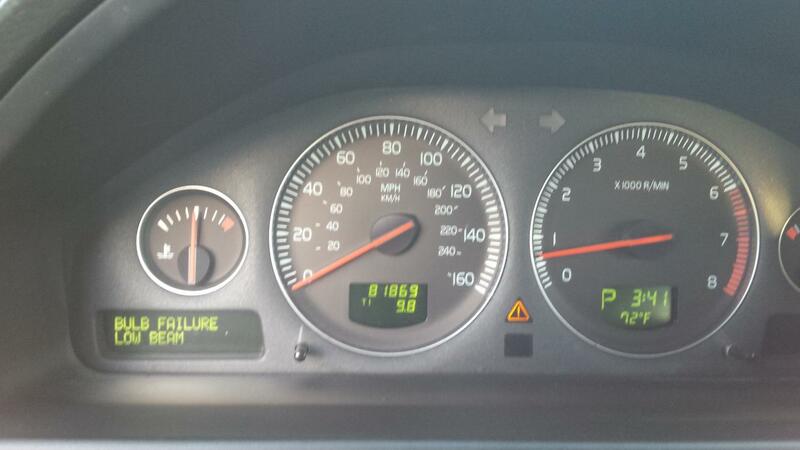 Yesterday, I started my 2002 S80 car and first thing came up was Low BEAM BULB FAILURE sign. I bought and installed a new bulb (those who have done it for the first time know, its headache) still not working. I checked the bulb by switching it to the other side headlight, and found nothing wrong with the bulb. Checked wires and all fuses that relate to headlights, nothing wrong there either. I thought car computer may not registering the change, did reset the computer as well. NO POSITIVE RESULT. I’ve owned cars for the past 50 years, and have never taken a car to dealer or mechanics, yet this dumb VOLVO is forcing me to either put fire on it or drop it at a VOLVO dealer for good. I had BMW, Mercedes, Mini Copper, Ford, Chevy, Cougar and never been as pissed as I’m with this peace of Zhit. Were the headlight/s actually burned out when you got the error message? The problem in my case was that the bulbs were actually working but I was still getting the message. I still have this problem to this day, and have just assumed it is funkiness with the computer that is causing it. Cool - so did replacing the 10A fuse make the message go away then? I'm having a similar issue. I start the car and get an error message that I am having a low bulb beam failure. My bulb is not burned out. Usually a good smack and the light comes right back on. I feel that this is similar but is more likely a loose connection? Where would you recommend I start? Re: My car's low beam signal, solution was in front of me "FUSE". However, I think the owner manual I have is meant for cars sold in U.K. Australia and other Left hand drive traffic countries. FUSES don't belong where the book says they belong, hence, need some patience locating right fuse for your the problem. I'm going to look for a part, I changed the bulb (thank goodness for youtube how to videos! ) but that didn't fix it. Someone checked the connections for me and said those were good so I guess I will try this now...thanks for the input! Got a 2008 Volvo XC90, AWD, 3.2 6 Cyl. The DIM indicated a Low Beam Bulb Failure. Volvo Stealership wants $250 parts and labor. WTH!!! A freaking bulb costs $250? Started my VIDA DICE 2014A and researched how to remove and replace - it looks like a very simple DIY. Found this at Amazon for $44. On its way and should be delivered tomorrow. Im crossing fingers now that its not the ballast. Received the Sylvania D1S bulb today from Amazon. It worked, just glad it wasnt the ballast. However, the bulb is white not cold blue like the factory installed. Ordering another one just to match. I have an '06 xc90 and I get a low beam failure warning after several minutes of use. The driver's side headlight flickers then goes out. I replaced the ballast without help. Any ideas? Hummm, on day two of ownership I was greeted by a Low Beam Fail warning. I get out with running lights on and all is bright... 'round this young virgin. I reset and haven't seen it again, now this day three of the rest of my life. I was also greeted day one with a Dangerously low tire pressure warning that was not proved out by inspection. 'Went away in no time flat... Might be topic for another thread or a general thread about pesky, but wrong, warnings.